I just got these great lunchboxes from Sunsella. These are really nice plastic containers. They are made of a durable and well made plastic. 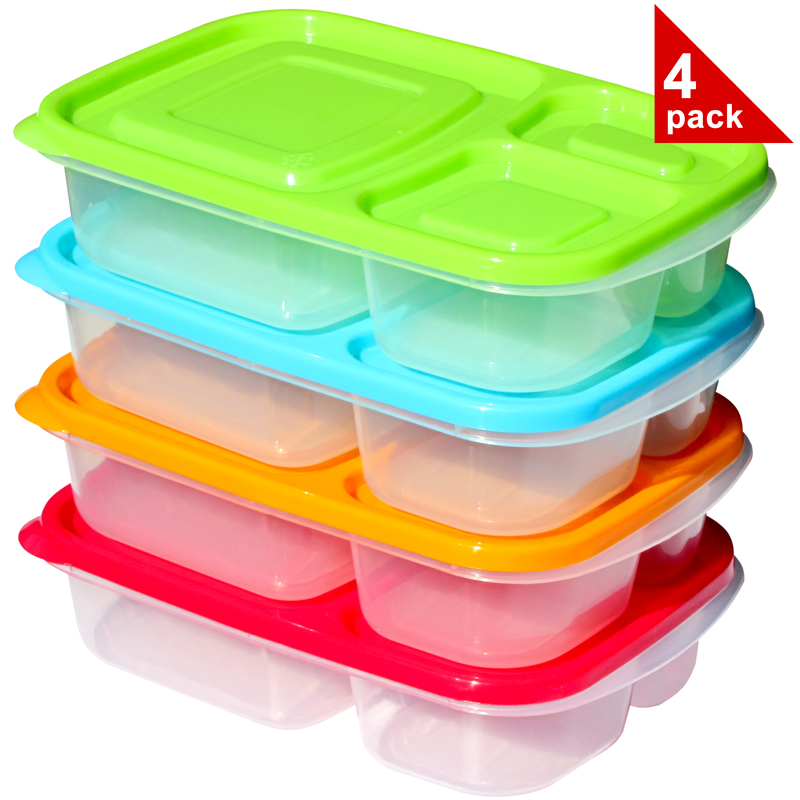 These can be washed and reused much like other food storage containers. They have one larger compartment and two smaller. You can put several food items in this one container. The have fun vibrant colors, you get a set of four (green, blue, orange, and red). I used these for lunches for myself and my daughter. My daughter usually takes her lunch to school most days. These are a great way to store all her favorite items. Since it has separate compartments the foods stay separate. The lid keeps it from leaking. She loves the colors of these. I have some more plain boxes like this and she prefers these because of the colors. They work great. I use them too to take lunch to work. I can make up meals the weekend before and have them ready to go for the week. A great way to eat healthier during work. Dimensions: Length 9.5 x width 6.2 x height 2.2 inches – 1st compartment: 3 1/2 cups, 2nd compartment: 1 1/3 cups, 3rd compartment: 1 cup.